One of the many things we love about SPSS is how easily it’s customized and extended with powerful new features. For instance, creating your own toolbar is utterly simple and may save a lot of time and effort. With SPSS version 18, SPSS Extension Bundles were introduced: create completely new SPSS commands, build a menu dialog for them and easily share your extension with other users. Building SPSS extensions is challenging but installing them is effortless. 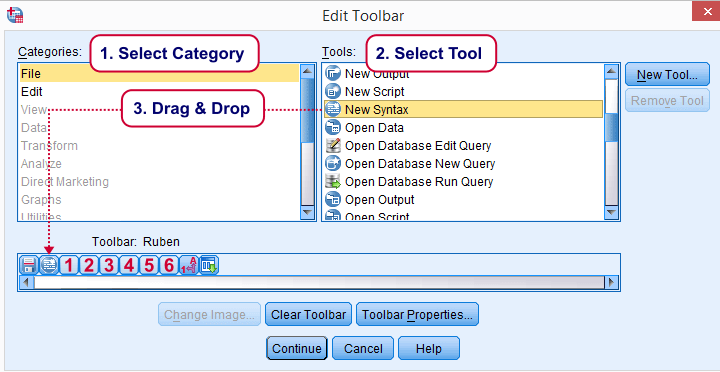 Some of our own SPSS extensions are found on our tools page. Enjoy!